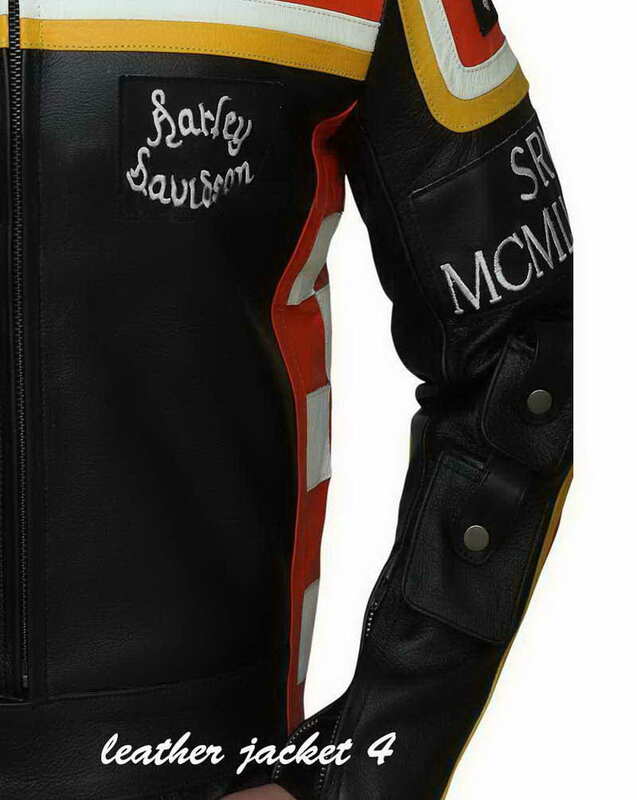 • Logos and inscriptions adorned exterior. 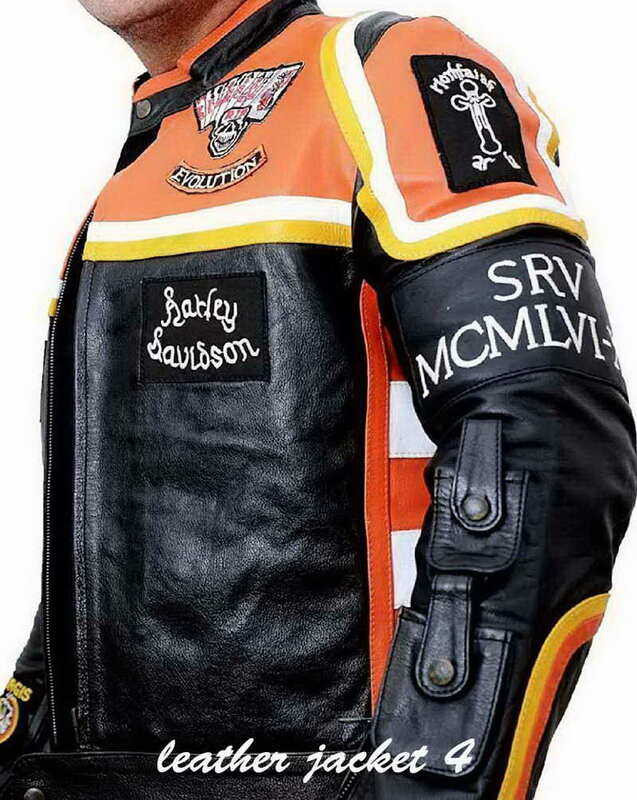 • Black base with an inclusion of Orange, White & Yellow colors. • Premium and double stitching for durability. • Strap work done all-over the exterior. • Branded YKK zipper at the front closure. • Snap-button fastener at the waistband. • Pockets over the left sleeves. 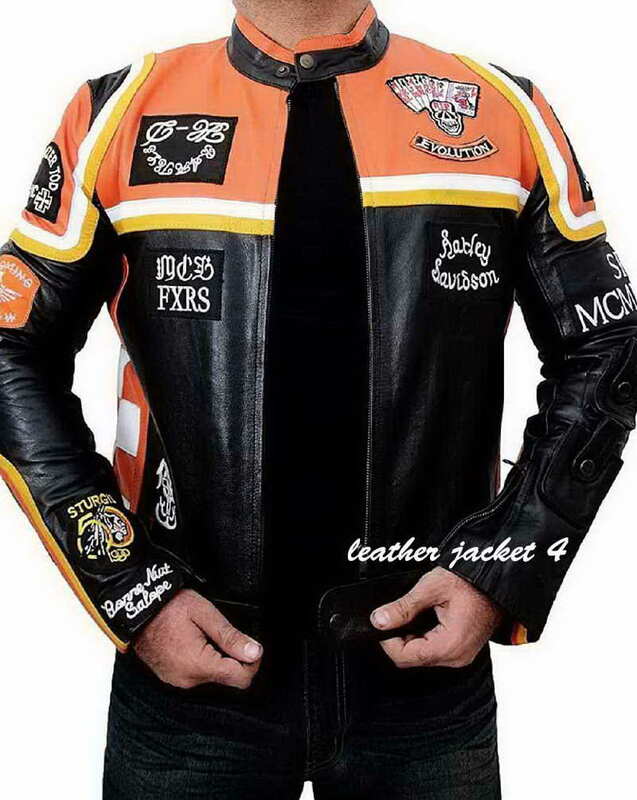 Mickey Rourke Harley Davidson Leather Jacket.This jacket was spotted in Hollywood movie - Harley Davidson and The Marlboro Man (1991) and it drove the audiences gaga for it with the very first of its sight. 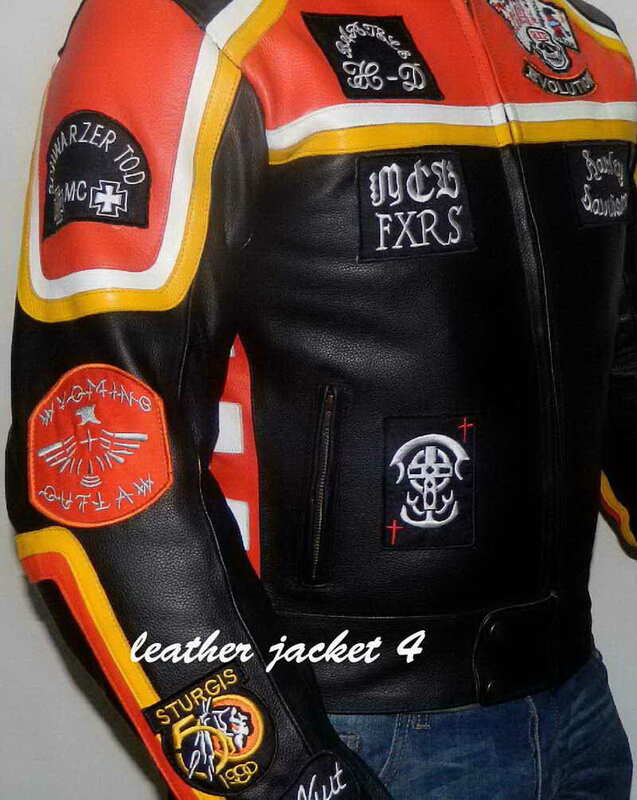 We offer the exact replica as Mickey wear in Movie. 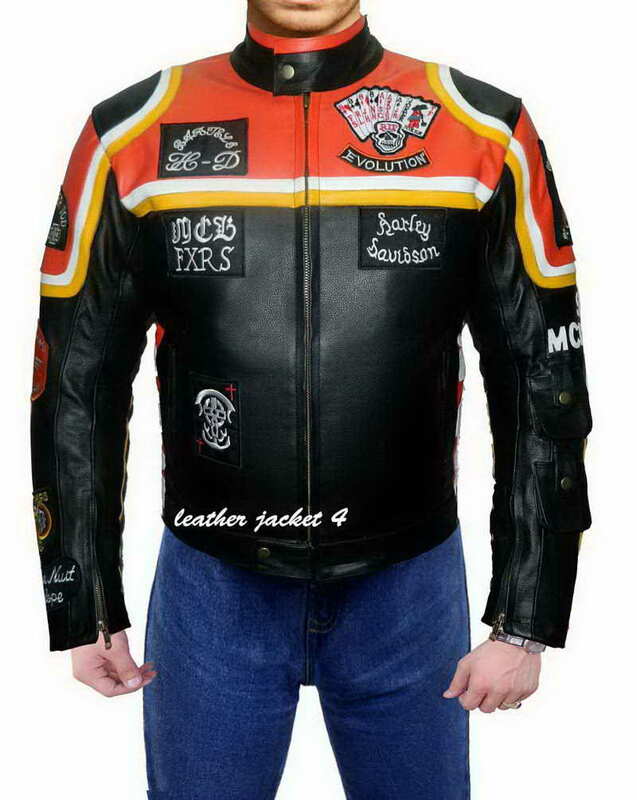 This Marlboro Man Leather Jacket; the world-class stitching of it takes your image to a skyscraping altitude. 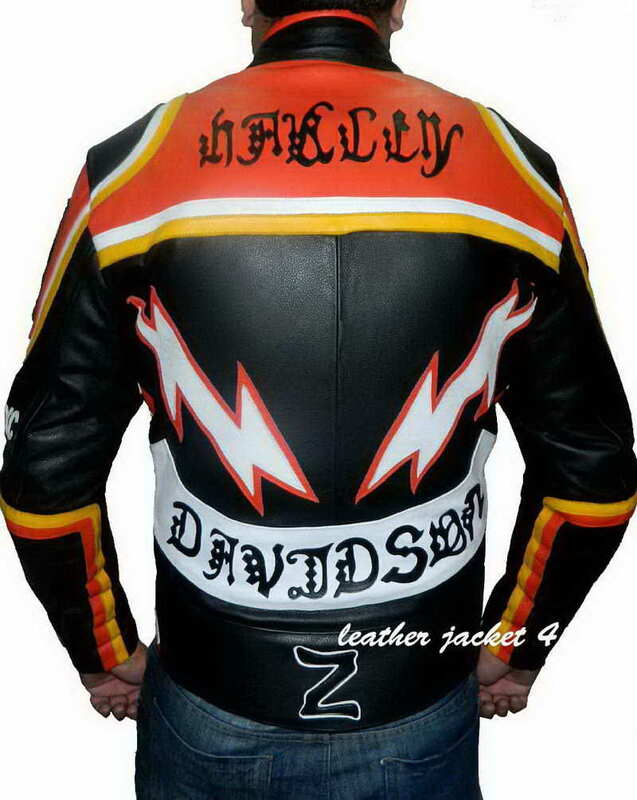 With the addition of stylish logos & depictions over the front, back and at the sleeves; this Harley Davidson Marlboro Man Jacket makes you stand tall and walk taller. 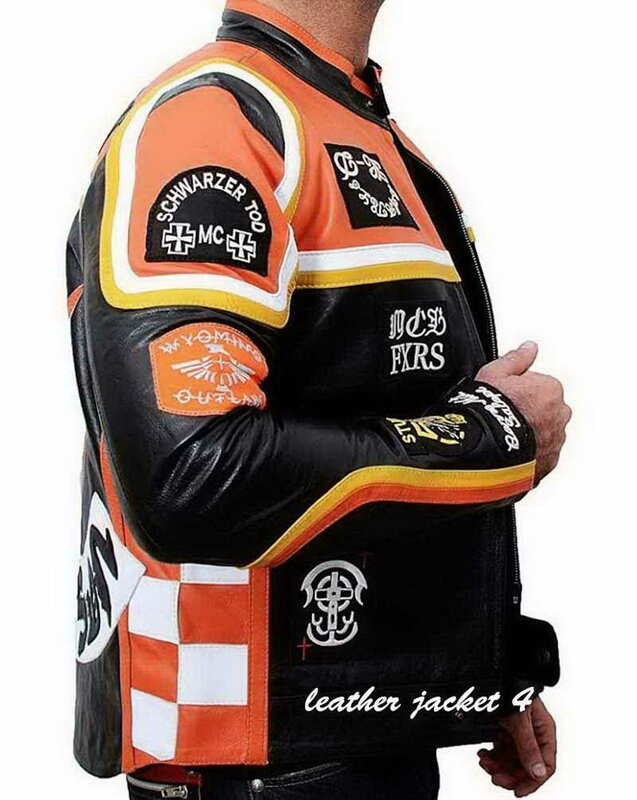 Branded YKK zipper, snap-button closures at collar and waistband, pockets on the sleeves for carrying smoke, dual white and yellow straps all-around exterior. 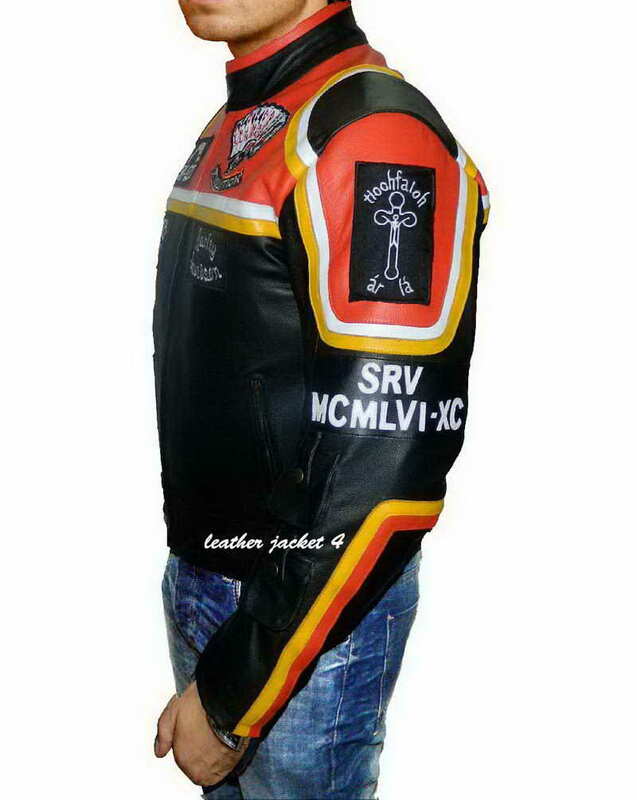 Get hold of this jacket and stay on the move!